ME (formerly ME Bank) is a provider of credit cards, home loans, personal loans, bank accounts, and insurance products. What are the ME credit cards? There is just one ME credit card at the time of writing – the frank credit card. For details about this card see below. Get ‘appy with ME – the ME Bank mobile banking app is available on the App Store for Apple devices and Google Play Store for Android. You can even login using Touch ID. ME previously used to offer a second credit card called the ME Mastercard until 2014; however, this card is no longer offered and has been replaced by the frank credit card product. Security: Card protected by Mastercard Zero Liability policy for unauthorised transactions, 24/7 fraud monitoring for suspicious transactions, and Mastercard SecureCode when shopping online (must register the card online). Contactless payments: Contactless payments are enabled via Mastercard PayPass for purchases under $100. Australian citizen, permanent Australian resident, or Australian resident for tax purposes. 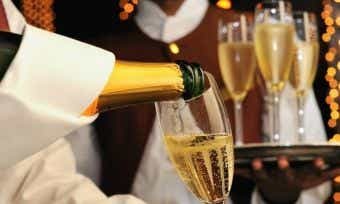 Earn at least $25,000/year in income. CANSTAR provides an information service. 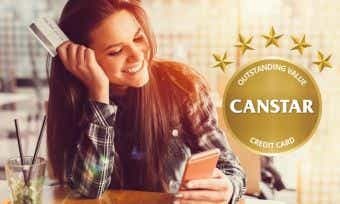 It is not a credit provider, and in giving you information about credit products CANSTAR is not making any suggestion or recommendation to you about a particular credit product. If you decide to apply for a credit card you will deal directly with the financial institution, and not with CANSTAR. Rates and product information should be confirmed with the relevant financial institution. For more information, read our detailed disclosure, important notes, and additional information. First, check whether you are eligible to apply for a frank credit card. See above for the eligibility requirements. If you meet the eligibility requirements, you can apply online – it takes around 5 minutes, according to ME. Have your ID and income details handy and check our list of documentation you may need when applying for a credit card. In some cases, an instant response cannot be made and you will need to provide further information before the card can be approved; in this case, the card provider will contact you. You can check your application status at any time by calling 13 15 63. How do I activate my frank credit card? You will have to activate the card when it arrives before you are able to use that card. Activate the card by choosing and recording a 4-digit PIN using ME online banking, or by calling the activation hotline on 1300 307 986 (open 24/7). How do I manage my frank credit card through online banking? You can manage your frank credit card through the ME online banking website or using their mobile banking app. Use online banking or mobile banking to do things like view your recent transaction history, view your balance, and more. How is interest calculated on my frank credit card? Interest is charged when you carry a balance on your frank credit card. Interest is charged on cash advances from the date of withdrawal (fees and charges apply) and balance transfers from the date of transfer. 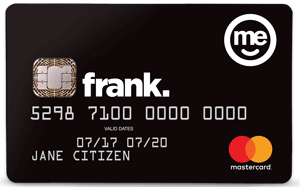 Up to 55 interest-free days apply to frank credit card purchases if you have paid the balance in full for the previous month’s statement and for the current month’s statement (the statement on which the purchases are listed). 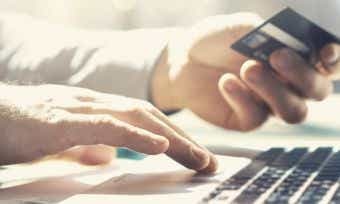 What will my credit limit be on my frank credit card? Your credit limit for a frank credit card will be determined based on the information you provide in your application, keeping in mind the minimum and maximum credit limits available for each card. Find out more about how credit limits are determined here. ME allows you to complete and post a physical application for an increase in credit limit after you have held your credit card for at least 6 months, decreased your debt, and/or your income has increased. To decrease your credit limit, simply call 13 15 63. How do I close my frank credit card account? Your card balance will need to be repaid in full even after the card is closed. You will continue to receive monthly statements until your card balance is fully repaid. ME (formerly ME Bank) was founded in 1994 under the name Super Member Home Loans. They received their banking licence in 2001 and have grown steadily, with 338,000 members as of June 2015. Profits from ME products go to the 30 industry super funds that own the company. ME’s head office is in Melbourne and they have offices in every Australian capital city. If you’re a fan of the current Pokémon GO app craze, you’ll be pleased to know players can now catch a Meowth at select ME ATMs! ME supports the community through partnerships that contribute to health and lifestyle, such as being a major sponsor of the Mother’s Day Classic fun run for the past 12 years. As a major sponsor of the HESTA Awards, ME recognises and celebrates the achievements of HESTA members who are nurses, primary health care workers, early childhood teachers, aged care workers, and community services sector workers. ME Bank also sponsors Village Cinemas Australia including Village, Event, Greater Union, and Birch Carroll & Coyle cinemas around the nation. ME also supports innovation in Australia. In 2016, ME’s first Ignite ME Hackathon event provided an opportunity for 63 innovators in 20 teams to compete to create new and exciting software solutions. When it comes to protecting the environment, ME has already reduced their carbon emissions by 20% against 2014 levels (as of 2015). They also reduced their overall paper usage by an impressive 80% from 106 tonnes in 2014 to just 22 tonnes in 2015. The head office in Melbourne, where the majority of ME staff work, received a Green Star 5-star rating in 2013 from the Green Building Council of Australia. And when ME chooses suppliers they aim for sustainable partnerships, researching which brands have a high level of corporate responsibility, environmental management, supply chain management, human rights, and community impact. Showing rewards credit cards on Canstar’s database with links to lenders’ websites. The display is sorted by Star Rating (highest to lowest) for credit cards with a monthly spend of $5,000. Table only displays three products. Click here to see more. Be sure to read the full terms and conditions of each deal before signing up. 11 Credit Card fees: How much do they really cost?